Our professional Call Home team is here to guide you through your property purchase in France. Smoothing every step of the way, we can bridge the gap between the seller, the buyer and the Notaire. With our experience, Call Home Immobilier can answer those questions that you never really know who to ask. Sign the “Acte de Vente” with the Seller and pay the balance of the property price. Congratulations! You are now the owner of your ski property and will be given the keys. What is it you are looking for? A ski-in ski-out apartment on the slopes, an idyllic mountain chalet, a farmhouse renovation, or are you looking to start a business in the Alps? 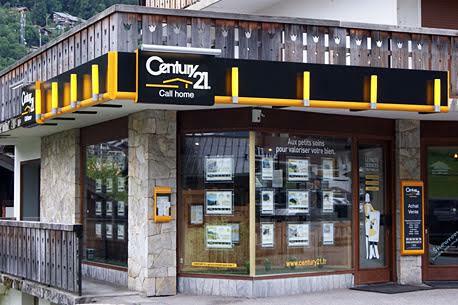 Call Home is here to propose to you the widest choice of properties for sale in Morzine, Les Gets and the surrounding valley. Set out your wish list: type of property, number of bedrooms, choice of resorts, central or quiet location, free ski bus, garage, outside space… Take your time to familiarize yourself with the local area and reflect on how you will be using your ski property. Our property agents are here to offer advice on the current state of the market, potential rental returns and answer any other questions that you may have. We will work with you to find you that perfect mountain home that you are seeking. In France all property is sold through a Notaire. The Notaire is the solicitor who will conduct all necessary searches, prepare the first contract; the “Compromis de Vente” and the final contract “Acte de Vente”. He is impartial and acts for both the Buyer and the Seller. The Notaires fees are additional to the property price and vary dependent on the property in question; however for existing buildings it is approximately 7% of the property price. There is an advantage of buying new builds in France as the Notaires fee drops to 2.5%. Once the offer has been accepted by the sellers, the Compromis de Vente is drawn up. This important contract confirms the acceptance of the offer and prevents the seller from accepting another deal. Once signed, each party has a 7 day cooling off period during which either party can retract from the sale. The Compromis de Vente covers all the important aspects relating to the property or land in question. It may also contain “Clauses Suspensives” (Conditional Clauses) that can stipulate conditions to the sale (e.g mortgage confirmation, planning approval …). The document will also state the agreed completion date for the purchase. At the signing of the Compromis de Vente the buyer pays a deposit for the property. It is held by the Notaire until the sale completes. The deposit can vary between 5 and 10%. Should any of the Clauses Suspensives not be met, this deposit is returned. This final contract contains all confirmations and land searches relating to your property purchase. It is the deed of sale that transfers the title deeds to your name. It may take up to three months to prepare the Acte de Vente from the signing of the Compromis de Vente. At signing, the balance of the purchase price and the Notaires fee are paid by the buyer. Once completed, the property ownership is transferred and keys are exchanged. Call Home Immobilier can help you every step of the way with our expertise and bi-lingual agents. Do you need help organizing your mortgage? Could you benefit from a recommendation for your currency exchange? Please, don’t hesitate to ask us. Our estate agency is part of a network that can help you with the next step for your property, whether it is a renovation, a paint job, a grand design or an architect redesign. Our partners will be able to help you, please check out our “Partner Page” for more details. We can also recommend a number of Property Management companies to help you realize the true rental potential of your new property.